Accommodation on a Half Board or All Inclusive basis is offered at the Zafiro Rey Don Jaime. The hotel is in a great location to explore all that the resort of Santa Ponsa has to offer. 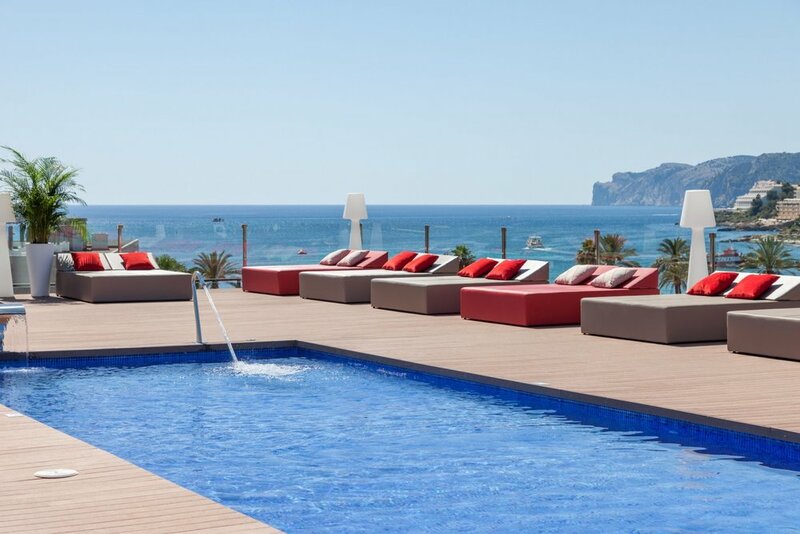 The stylish 4 star, Zafiro Rey Don Jaime hotel is located on a side street, just a short walk from Santa Ponsa's beach. In the surrounding area you will find countless shops, bars and restaurants. The hotel has 419 modern rooms with terraces, spread across 6 floors. All rooms are elegantly decorated and have free Wi-Fi and flat-screen satellite TVs. The air-conditioned buffet restaurant, with its chic leather sofas and chairs, offers breakfast, lunch and dinner, with a themed evening meal once a week. Additionally, there's a terrace bar, and by the large curved main pool, with its sunbeds and parasols, a poolside bar offering drinks and snacks. Other facilities at the Zafiro Rey Don Jaime include an adults-only rooftop pool with Balinese beds, a fitness room, and a Zen Spa & Wellness centre, with a sauna, Jacuzzi, Turkish bath and massage jets. For those that enjoy a nice cuppa in the morning, you'll be pleased to know that each room at the Zafiro Rey Don Jaime has a kettle. So, you can start the day with a decent brew in your room, before heading down to the excellent breakfast buffet. Accommodation at this hotel is either on a half-board basis; which includes soft drinks, mineral water, national wine and beer with your evening, or on an All Inclusive basis. The All Inclusive option can help cost conscious golfers to budget for the whole trip. Limited free parking is available for those arriving at the hotel by car. 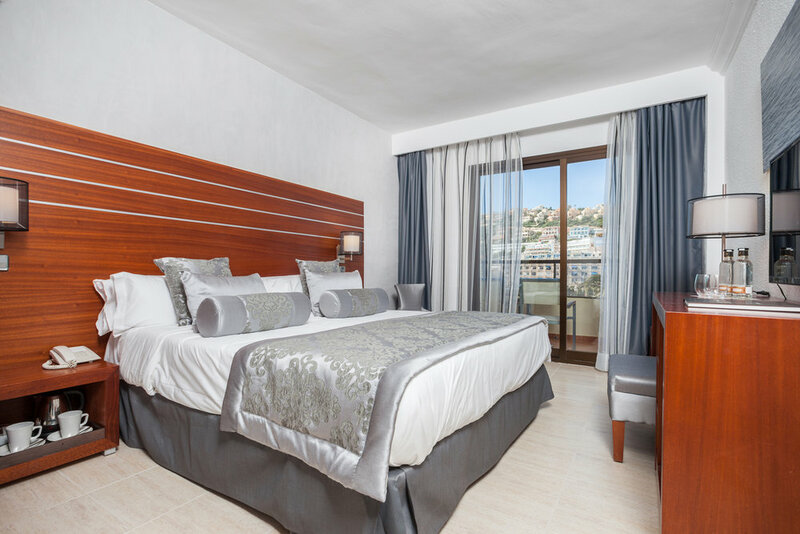 Overall, this is a great hotel for golfers who want to avoid the hillside hotels of Santa Ponsa, and be close to the town's many bars and restaurants.